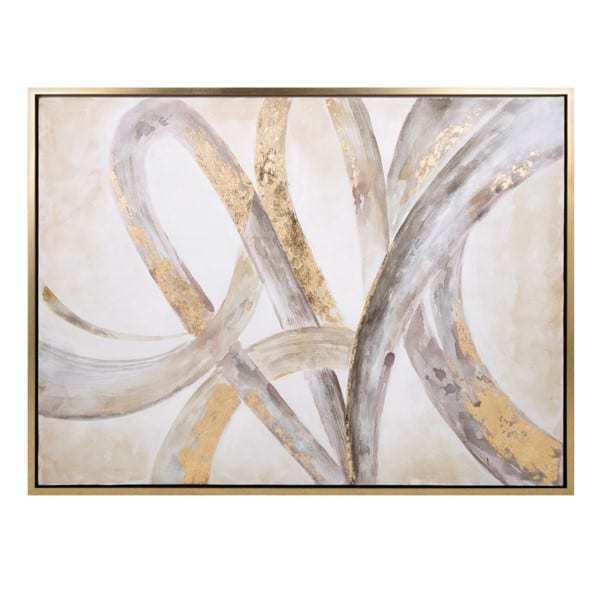 Enhance your modern decor with this distinctive abstract oil painting in gold, grey and natural. Enhance your modern decor with this distinctive abstract oil painting in gold, grey and natural. Comes in a pine wood frame. A part of the exclusive Nakasa Home collection – for your luxe lifestyle.